Reese has always been an outdoorsy kind of girl, while I’m more of a “hang by the pool and chill” kind of girl. 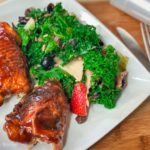 So, when Reese suggested camping this summer, I secretly cringed on the inside. Now, anyone who knows me knows I’m not the camping type. I hate bugs. I need running water, and going more than 12 hours without Wi-Fi is torture. However, because I am the “cool mom”, as Reese calls me, (and she’s not wrong, if I may say so myself!) I had to pull through on this one. But, since there was no way I was pitching a tent on the ground, I decided a fair compromise would be an RV. That way, she gets her camping experience and I get running water. It’s a total win-win situation. 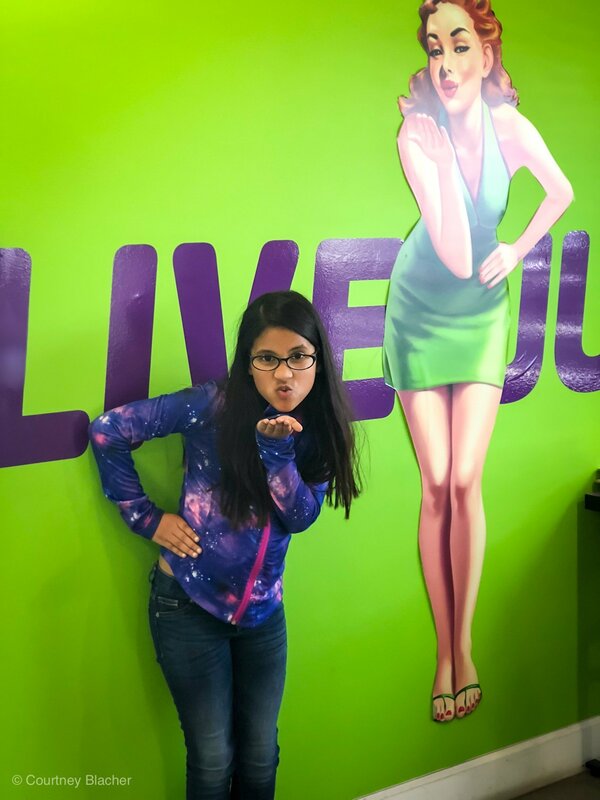 A few months ago, my mom and I were looking into RV’s and we stumbled across a company called Jucy! I did some research, ran it passed Reese, planned the perfect West Coast road trip, and then booked it! 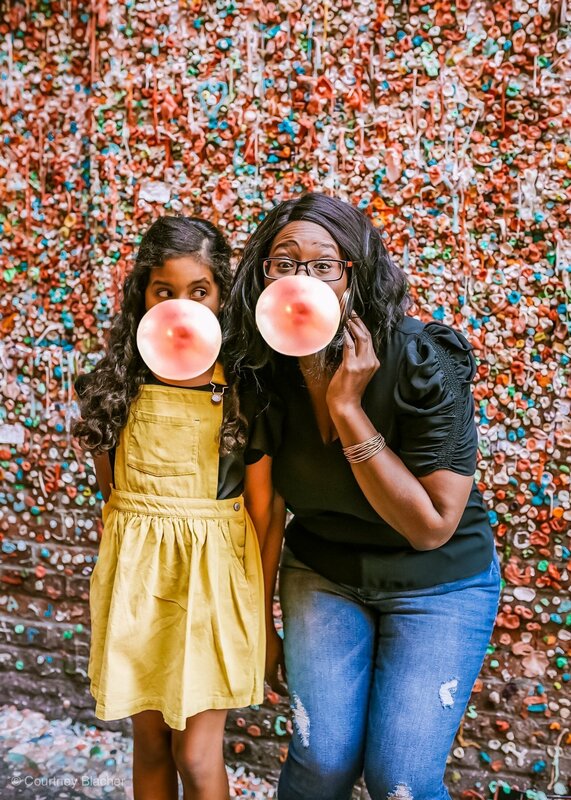 We were on the way to an amazing mommy-daughter adventure in the wilderness! Well, sort of! To pull off this trip, I relied heavily on the RV I booked. I opted for the Jucy Trailblazer, which has all the modern features you’d come to expect when RV’ing (minus the bathroom but, more on that later). Our Jucy included a fridge, a gas stove, a sink (with water), and two comfortable beds (one was even a “penthouse” lol), which gave us plenty of room to sleep. The major selling point for me was the stove. We love to cook and eat, and since I know nothing about rubbing two sticks together to start a fire, the stove was a must. Another selling point for me was size. I loved the idea of renting an RV but the thought of driving a huge boat of an RV scared me. I loved that Jucy Vans are made from converted minivans so you don’t need a special license and anyone who has driven a standard car should have no problem driving a Jucy. Also, because it was the size of a standard minivan, it was amazing on gas. We drove over 500 miles on just a tank and a half of gas and with gas prices being sky high, this was a major win in my book. The Jucy Trailblazer comes standard with two bench seats that convert into a double bed, a table that can be put up and taken down when needed, plenty of storage space under the bench seats to store some your stuff (we had two suitcases, two folding chairs, and a mini cooler and it all fit). Of course, it also came with the most important feature when traveling through California in the summer, and that’s ice cold air conditioning. It can get really hot during the summer even in California, and I wasn’t about to travel a bunch of miles with the windows rolled down. There were a few nights it got warm and we hung out in the van and watched a movie with the A/C on full blast before going to sleep. That was actually kinda fun. If you’re traveling with more then two people, Jucy also offers a “penthouse” which converts into a pop-up room and has an extra bed. This was Reese’s favorite part and she slept up top all but one night. This allowed me to stretch out because sleeping with this wild child is hard. 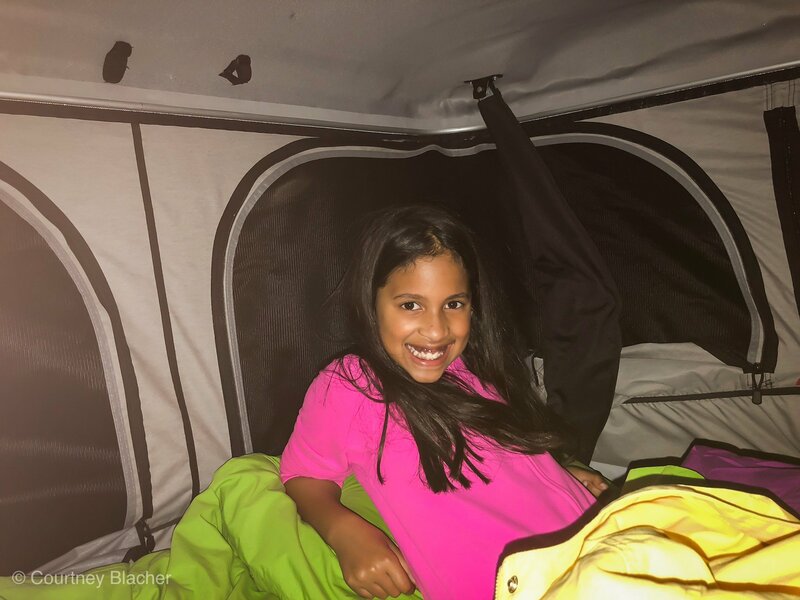 Plus, it gave her the feeling of sleeping outside without having to deal with bugs or having to pitch a tent. The penthouse is accessed by a latter and the walls are made from a tent material. They also have built-in windows which prevent bugs from getting in as well as a reading light. If you’re worried about safety, just remove the latter before you go to bed (it folds down) and this will prevent anyone from climbing up. Since we flew up to San Franciso to pick up our Jucy, we were limited on what we could pack so, instead of dragging a bunch of stuff with us, we opted to spring for a few extras from Jucy. We selected the kitchen tools, which included cutlery, dinnerware, frying pan and saucepan, kettle, can/bottle opener, kitchen utensils, and a dish towel. Basically everything we needed to cook on the road. I also didn’t feel like dragging a bunch of pillows and blankets with us so it made sense for us to also splurge on the bedding kit, which included bed linen, pillow, duvet, and towel. Keep in mind that neither the kitchen tools nor the bedding was included for free but it didn’t break my bank either. One thing to watch out for which you might be tempted to overlook is insurance. Insurance is NOT included in your rental and while you might be tempted to skip the insurance and use your own, know that many insurance companies WILL NOT cover you. This is because Jucy’s are considered a converted van and not a standard vehicle. Normally I’m all for skipping rental car insurance and using your own however this is not the time to risk it. Spring for the full insurance so that you know for sure you are covered. If you are dead set on using your own, make sure you give your insurance company a call first and explain to them exactly what you are renting and double check to make sure you are covered. If you discover you are covered, get it in writing so you can CYA in case anything happens. Reese is all about exploring anything and everything that has to do with History. I had visited Alcatraz last year and knew this was one place Reese had to go. 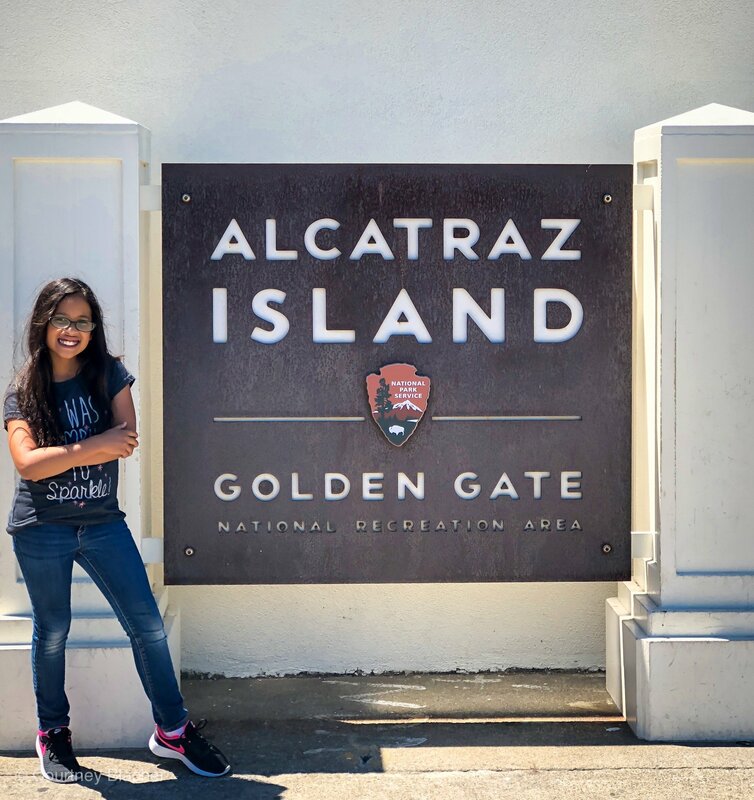 Located off the coast of San Francisco sits this infamous prison which in its heyday housed some of the most notorious criminals like Al Capone and the Birdman. Summer is not summer unless you spend at least one day at the beach so, that’s exactly what we did. But, since we don’t do anything standard we couldn’t pick just any beach. 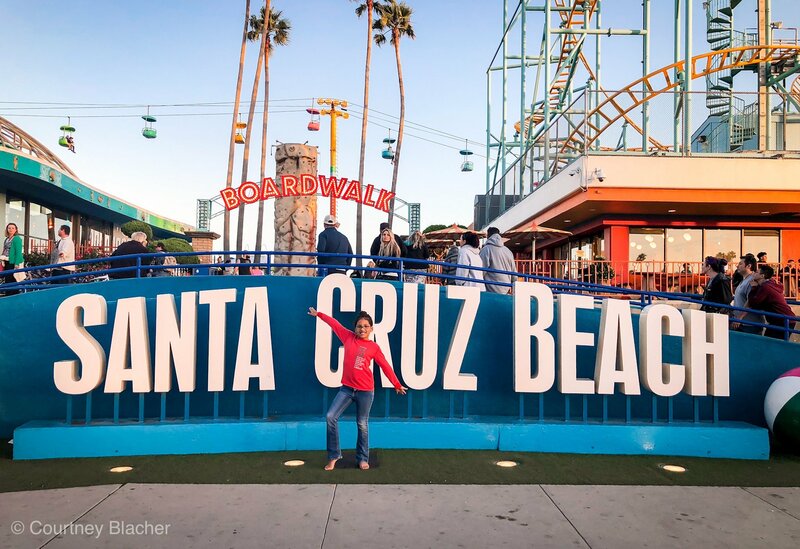 We opted for a pit stop at one of the best boardwalks on the west coast, Santa Cruz Beach Boardwalk. They have everything you need for a day of fun. Beautiful clean beaches, the oldest roller coaster in Calfornia and enough food to put your county fair to shame. Rember how I said I can’t do camping unless I have running water and wifi? Well, that’s exactly why we ended up at Thousand Trails Mogan Hill RV park. Located about an hour from San Francisco is Morgan Hill, an RV park that caters to RV’ers, campers and even people who prefer a cabin. I was on the fence about booking an RV site but Reese was insistent on us staying at least a few days in a place that felt like the woods. When I stumbled across Morgan Hill I was instantly sold when I read they had a swimming pool, wifi, and clean showers. Since the Jucy Van does not come with a bathroom, It was nice to spend 2 nights in an RV park where we had easy access to a bathroom as well as a shower. Finally the part you have all been waiting for. We had so many people ask us about how they can take a trip with Jucy. 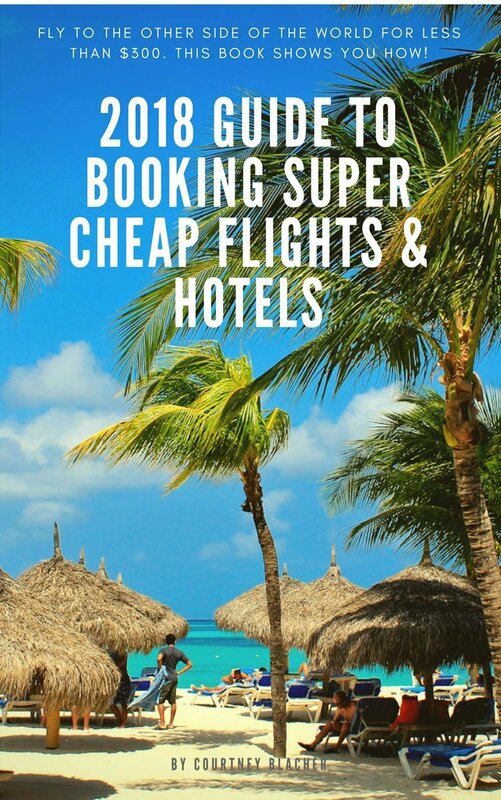 The easiest way is to book a Jucy vacation is by booking a rental. 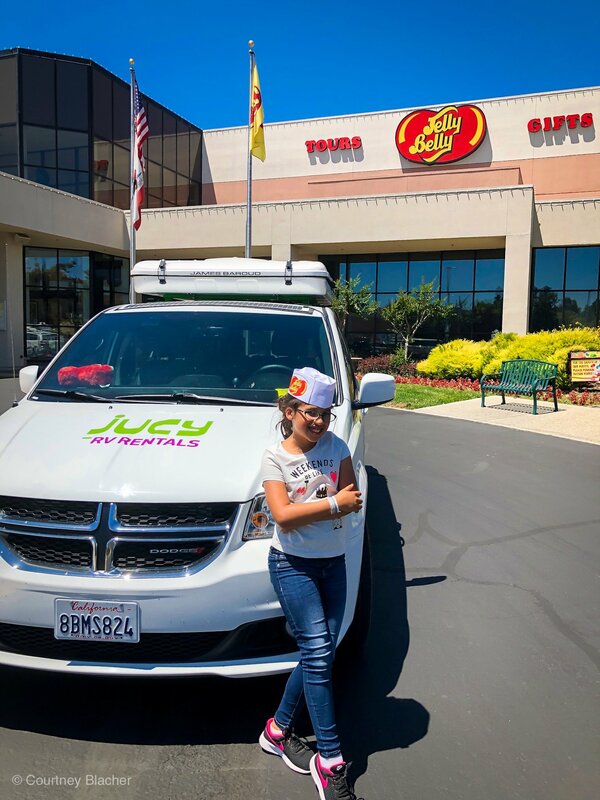 Jucy offers van pickups in Southern California and Northern California as well as Canada. 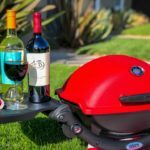 If you’re feeling lucky and want to try your hand at winning a Jucy Rental, that possible too. To enter to win follow these simple steps. 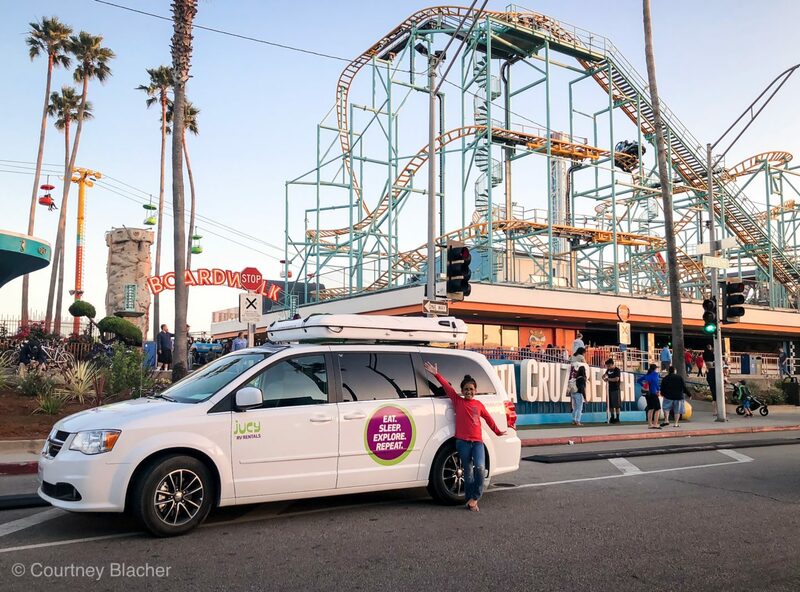 Visit the @JucyUSA Instagram page (be sure to follow them so you don’t miss an update). That’s it. You’re entered to win. Cross your fingers and get ready to start planning your epic road trip with Jucy USA!